Utkan Demirci wants doctors to take one look at his invention and "trash it." That's no knock on the device, a fast, easy-to-use--and disposable--test that measures the concentration of CD4 cells in the blood; doctors use that number to monitor HIV infections. The size of a business card, this microfluidic instrument provides an accurate cell count in less than three minutes. At less than a buck apiece, the tests, which could reach the market in a few years, could literally be a lifesaver in HIV-ridden poor countries. 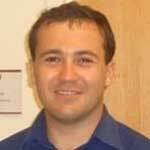 Demirci developed his expertise in microfluidics as a PhD student in electrical engineering. As part of his thesis, he devised a way to print semiconductor polymers by shooting sound waves through a small reservoir of fluid, squirting out millions of droplets per second. Now an assistant professor in the Harvard-MIT Division of Health Sciences and Technology, he's adapting his printing technique to give doctors a way to grow new organs for transplant patients. Many tissue engineers build organ-shaped scaffolds, then coat them with cells, using conventional ink-jet printing techniques. Alas, the process "cooks" most of the cells. By replacing the polymers in Demirci's printer with cells, engineers can deposit one unharmed cell with each droplet. Demirci hopes to use the method to begin building his first organ next year. He's starting with one of the most challenging: the human heart. Find out about Demirci's thoughts on interdisciplinary research in this video.